In this lesson, we will learn how to find exact circular function values. Find 𝜃 given s i n 𝜃 = 1 2 and c o s 𝜃 = √ 3 2 . 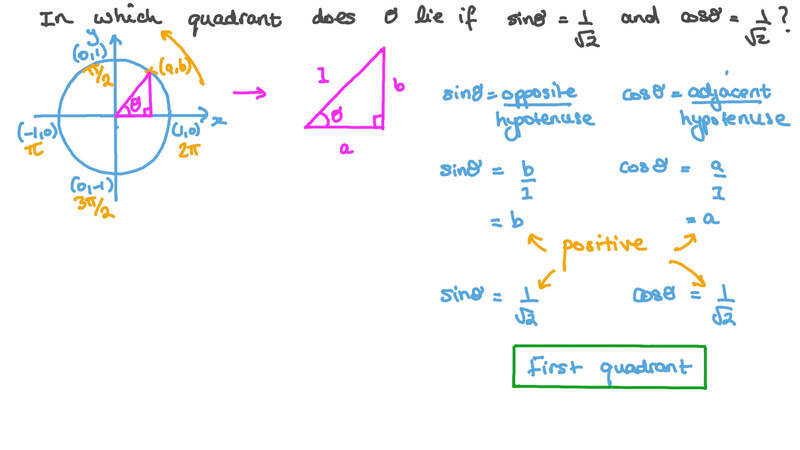 What is the value of t a n 𝜃 in the given triangle? 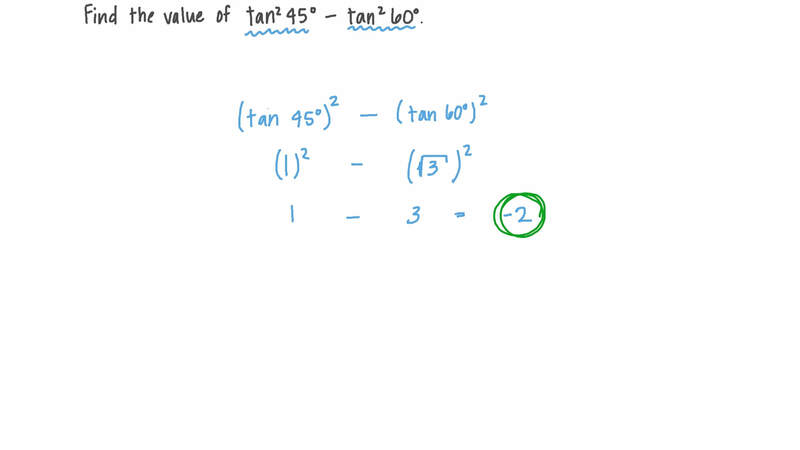 Find the value of t a n t a n 2 ∘ 2 ∘ 4 5 − 6 0 . 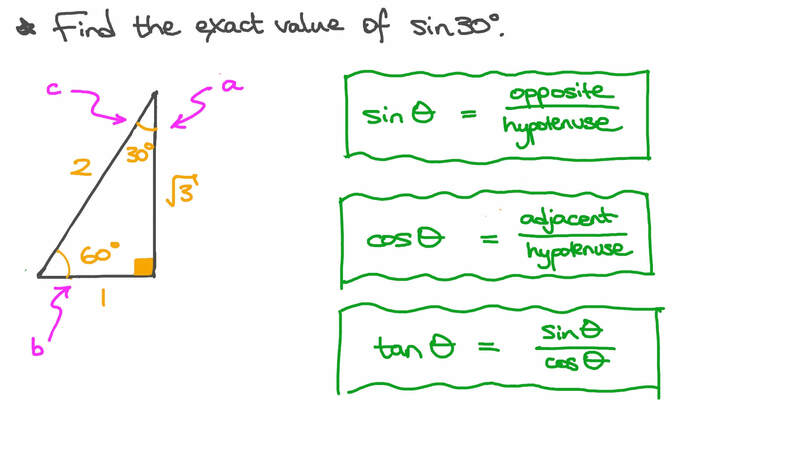 Find the exact value of s i n 3 0 ∘ . Find t a n 𝐵 , given 𝐴 𝐵 𝐶 is a right-angled triangle at 𝐶 where 𝐴 𝐶 = 8 c m and 𝐵 𝐶 = 1 5 c m .
Find the value of c o s  𝜋 3  . Find the value of c o s 2 𝜋 3 . Find the value of s i n 3 𝜋 4 . Find the value of t a n 5 𝜋 6 . Find the value of c o s 5 𝜋 4 . Find t a n 𝐴 , given 𝐴 𝐵 𝐶 is a right-angled triangle at 𝐶 where 𝐴 𝐵 = 2 0 c m and 𝐵 𝐶 = 1 6 c m .
Find the value of s e c  𝜋 4  . Find the value of s i n  𝜋 6  .